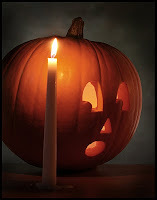 Here are two candlelight photos I took today (Halloween). The skull photo had two candles and one reflector (made out of aluminum foil). The only candle that is seen would be comparable to a "hair light kicker." 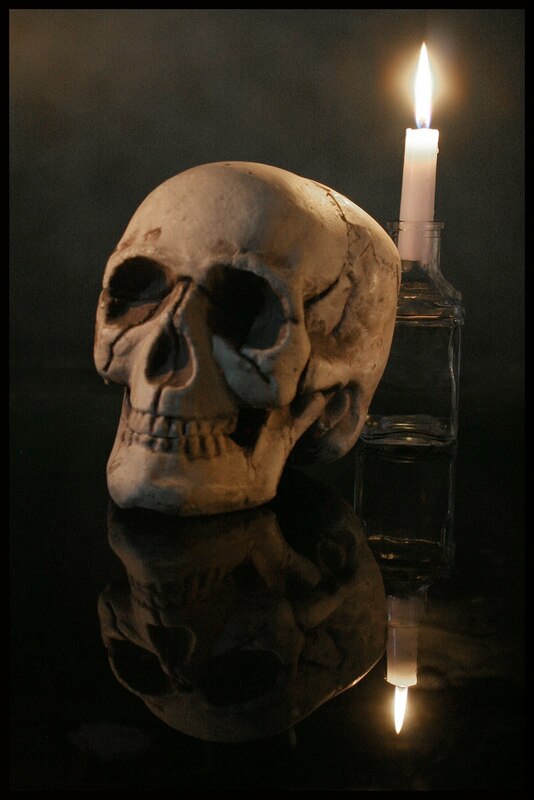 The candle to the left (outside the frame of the photo) would be comparable to the key light while the fill in reflector (adjacent to the key) brings the right side of the skull out of the shadows. The pumpkin of course had a votive candle inside. The stick candle acts as the key light. There is no adjacent reflector used in order to accentuate the illuminated eyes and mouth of the pumpkin. The opening photography of the movie "To Kill a Mocking Bird" had a series of close ups that I found poignant and fascinting. 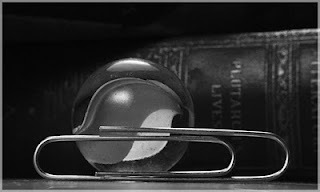 I emulated those images with this photo using a marble, paperclip and a volume of Plutarch's Lives. 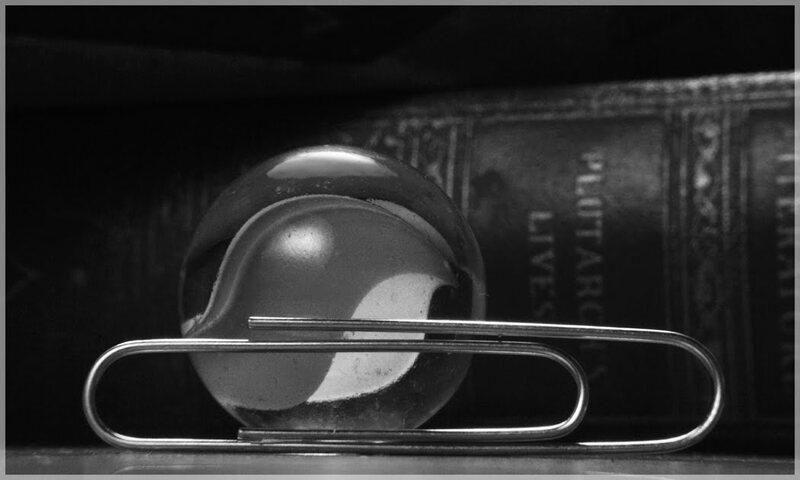 The paper clip keeps the marble properly sized even though the angle of the photo would dictate that the marble should be much larger. This is my composite image. 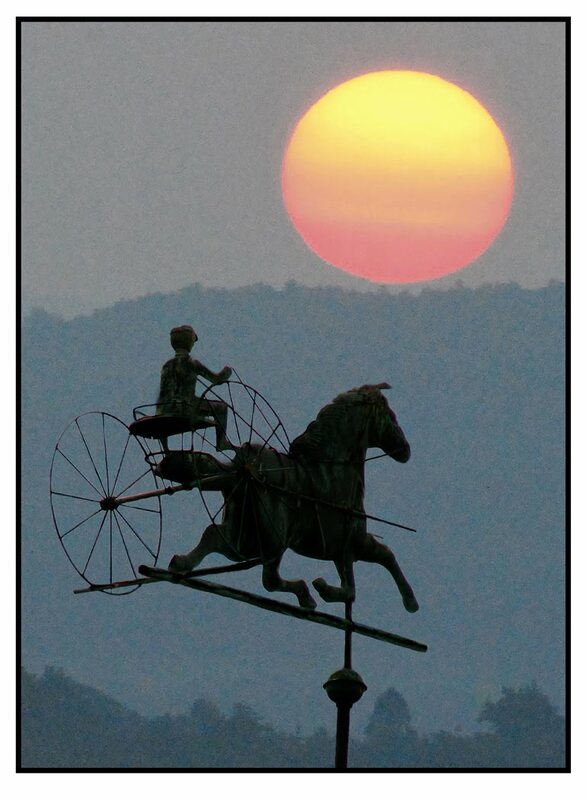 It would be hard to get a sharp image of the weather vane considering the extreme magnification of the sun. The photo is a total fantasy. Photo Shop cut and paste. 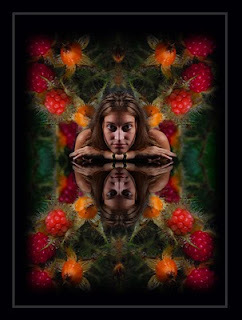 Artificial symmetry (four-way copy and fold over technique of wine berry background. 2-way fold over of portrait with reflection).